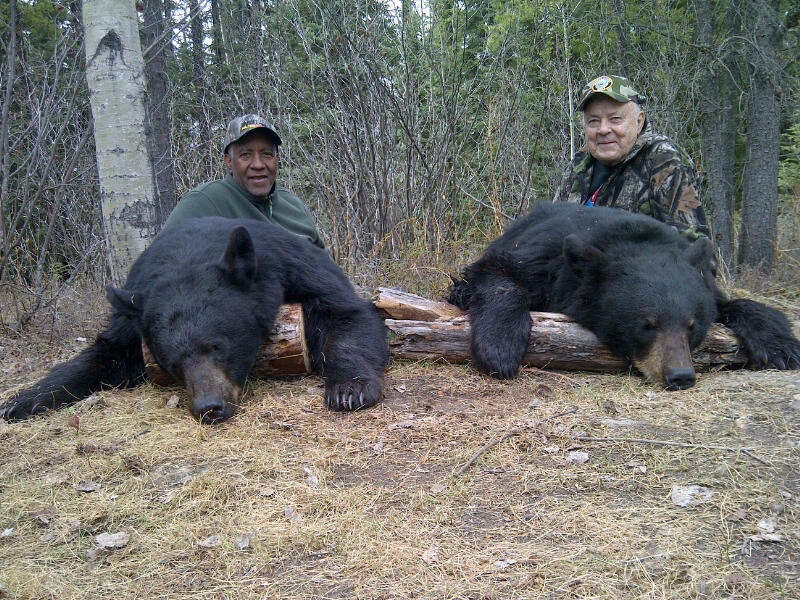 Alberta’s boreal forest offers some of the best trophy black bear hunting in the province. Located five hours North of Edmonton in the heart of the Boreal Forest is where Alberta’s Trophy Black Bear roam. 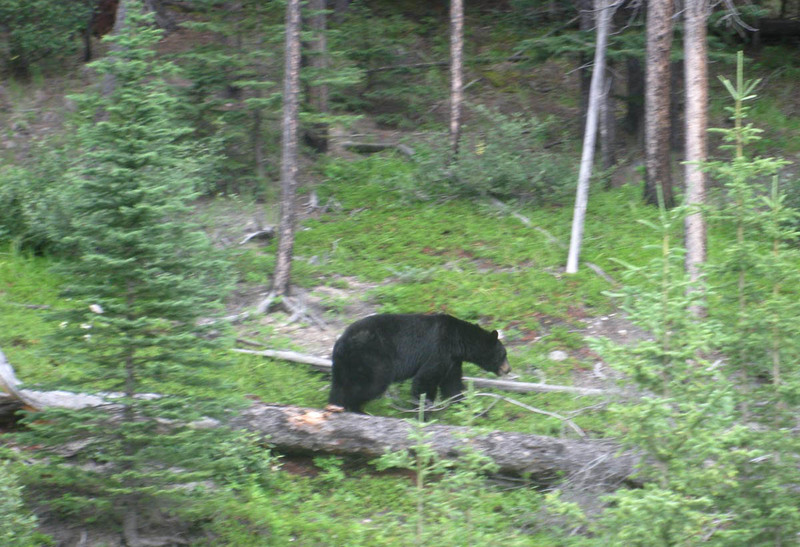 This area has a large concentration of black bears. 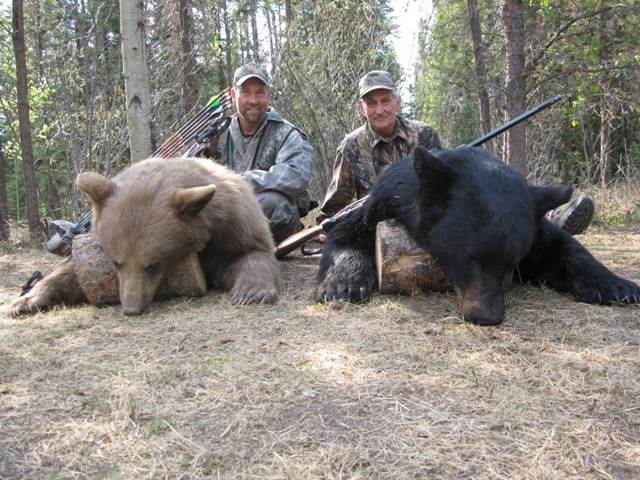 With our 3000 sq mile area, trophy class bears are taken annually. We have taken bears over 8 ft with P&Y, B&C skulls. 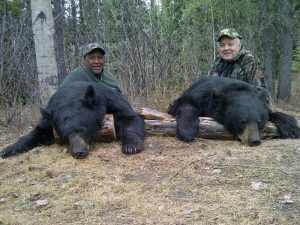 We also boast one of the largest concentrations of color phase black bears in North America, some weeks we have hunters harvest 40% color phase bears. 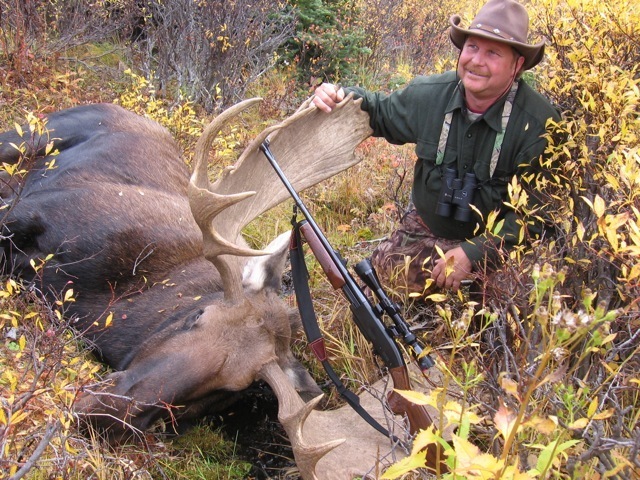 Hunting Alberta’s north requires a camp to accommodate any condition that may occur. We use 12x14 wall tents with air tight wood stoves to keep warm and dry during the hunt. The cook tent is run by a generator and gas stove where awesome meals are cooked daily. The shower is enclosed and heated; the washroom facilities are sheltered and clean. Staying as comfortable as possible is a priority to us, keeping the camp small allows us to offer a great Black Bear hunt. Our hunting area is Alberta's premier area for big mature trophy whitetail deer and moose. 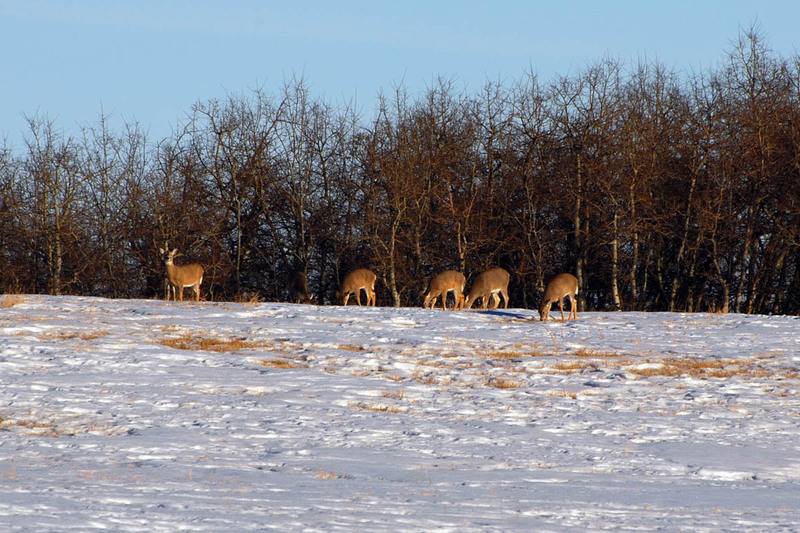 North East Alberta is the province's #1 whitetail area. 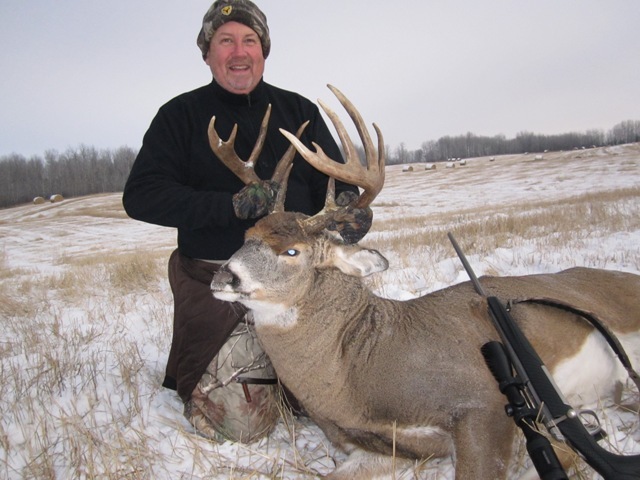 Where the farmland meets the boreal forest bucks can grow to world class status and is a hunter's paradise. Lakes, creeks, and rivers are throughout the area and with vast areas of forest surrounding the farm land, deer and moose can grow to full potential. 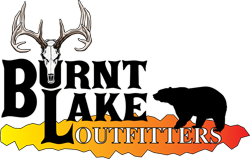 Whitetail Deer Camp is at my lodge 2.5 hours north of Edmonton with all the comforts of home including; great meals, comfortable beds and satellite TV. 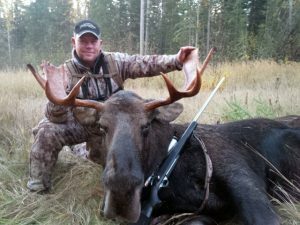 Moose Camp is setup in the heart of the hunting area, tents, wood stoves etc. this puts us where we need to be for the best opportunity. Trucks and ATV's are mainly used to get to different areas and to retrieve the game.